The first collaborative news vehicle for all things energy codes. Brought to you by the Building Codes Assistance Project. A majority of states have developed comprehensive energy plans that provide recommendations for increasing efficiencies across numerous sectors. These plans, developed by state energy offices and other stakeholders, lay out a roadmap for meeting future energy demands. As buildings account for around 40% of national energy consumption, one aspect of these state plans should be building energy codes. This article will provide a brief overview of how recent state plans for Maine, Missouri, New Mexico, New York, and Vermont are addressing building concerns. H.R. 8, the North American Energy Security and Infrastructure Act, was approved by the House Energy and Commerce Committee in September on a mostly-partisan basis following adoption of the damaging Blackburn-Schrader codes amendment. But the issue is far from settled. The full House of Representatives is expected to vote on H.R. 8 as early as next week. Advocates who care about preserving DOE’s role in the building energy code development and implementation processes can still have a positive effect by reaching out to members of Congress. You can read more about the simple payback issue and its potentially deleterious effects on building energy codes in a recent Alliance to Save Energy blog post. Congratulations and thank you to all of the winners! The Washington State University's Extension Energy Program has created a series of videos explaining residential ventilation, which are available under the Fresh Air for a Healthier Home subsection. This series provide real-life demonstrations of features such as heat-recovery ventilation systems, helping viewers to understand the fundamental building science concepts behind managing air flow and reducing energy bills. Following the adoption of the 2015 IRC/IECC for single-family residential construction, the State Energy Conservation Office (SECO) proposed that those same high standards be extended across all building types. In November 2014, the Energy Systems Laboratory performed a technical analysis and recommended the adoption of the 2015 IRC for low-rise residential construction and the adoption of the 2015 IECC for all high-rise residential, commercial, and industrial buildings. Comments on these proposals are still being accepted until the end of October. Version 4.0.2 of COMcheck now includes support for the 2015 IECC in addition to the 2009 and 2012 editions and the equivalent ASHRAE 90.1 standards. This newest release also supports the 2014 Florida Building Code, Energy Conservation. To download the most recent version of COMcheck, visit energycodes.gov/comcheck. 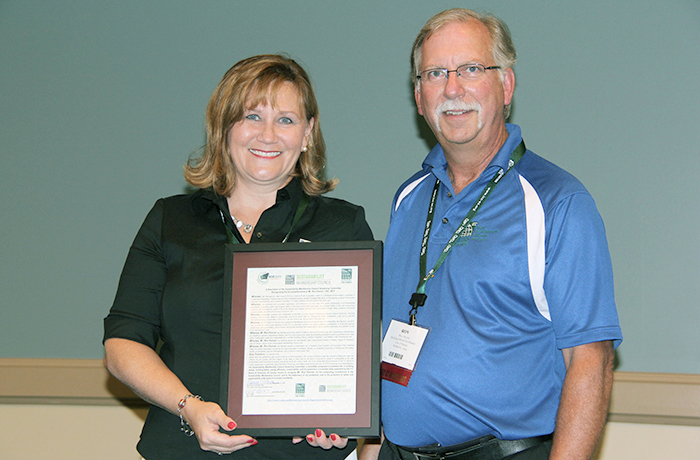 Photo-op: BCAP President Maureen Guttman recognizes Ron Hoover for his contributions to the Sustainability Membership Council during the 2015 International Code Council (ICC) Annual Conference in Long Beach, California. At the 2015 ICC Annual Conference, Maureen Guttman was unanimously reelected to serve as 2016 Chair of the Governing Committee of the Sustainability Membership Council. The purpose of the SMC is to advocate for concerns and issues related to sustainability that are of particular interest to all members of the design, construction and regulatory community. The Council is focused on promoting adoption and understanding of both the International Energy Conservation Code (IECC) and the International Green Construction Code (IgCC). The SMC is open to all ICC members. If you are interested in getting more involved in green and energy code policy and administration, as well as influencing the direction of the ICC related to these issues, enroll in the SMC today! BCAP held its 3rd annual All Collaboratives webinar on October 26th, in which 11 state energy code compliance collaboratives shared accomplishments, current focus, challenges, and lessons learned over the last year. 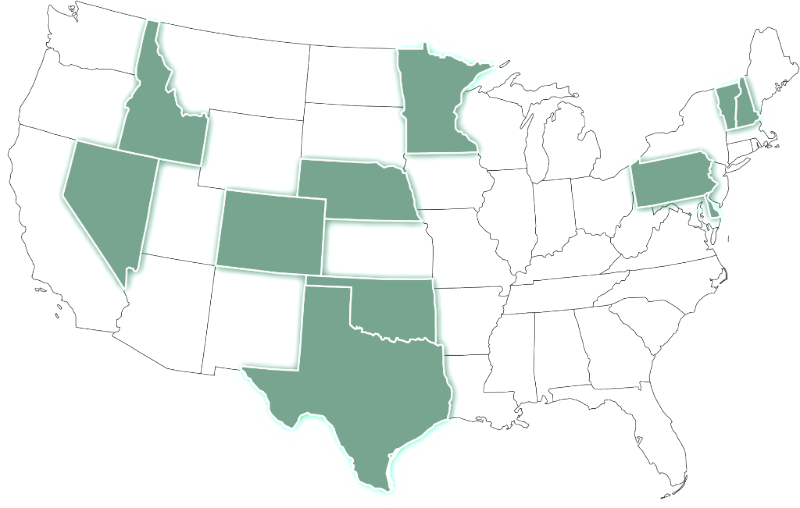 States represented included Colorado, Delaware, Idaho, Minnesota, Nebraska, Nevada, New Hampshire, Pennsylvania, Texas, Oklahoma, and Vermont. To learn more about individual state collaboratives and to view the webinar and presentation slides, please visit the OCEAN collaboratives portal. Q: Which states received the most points for building energy codes on ACEEE's 2015 State Scorecard? A: Click here for the answers. DOE's Building America Solutions Center publishes guides on construction topics such as continuous rigid insulation sheathing and siding. The code compliance briefs included as part of these guides can help building professionals assess issues during plan reviews and field inspections. DOE is seeking a participant in the Building Energy Codes Program (BECP). The ideal candidate will have a background in energy codes and/or building energy efficiency. New cloud-based system to collaborate, review, submit, and vote on code change proposals and public comments. Copyright © 2015 Building Codes Assistance Project, All rights reserved.